After more than three decades of talk about the potential of building green, we've still failed to change the way we design and construct buildings so that the built environment stops being a dominant contributor to runaway climate change. The Earth has already warmed about 1℃ since the 19th century and it’s on track to rise another degree. This second degree would push stable civilisation to the very brink. In its recent report, the UN Intergovernmental Panel on Climate Change called for “urgent and unprecedented changes” to reduce greenhouse gas emissions (GHGs) so that we avoid reaching 2℃. While 1℃ may sound incremental, the action required to stop it is not. C40, an urban climate action advocacy organisation, was founded on the idea that cities are ideally positioned to stop the GHG juggernaut. And cities are starting to increase their formal policy commitments. In January, Vancouver joined other cities in declaring a state of climate emergency, a signal that urgent action is required. Buildings are responsible for 40% of energy-related carbon dioxide (CO2) emissions worldwide. The Global Alliance for Buildings and Construction reports that global building sector CO2 emissions are up 3% since 2010. Architects have seen buildings as a possible solution to the climate crisis. 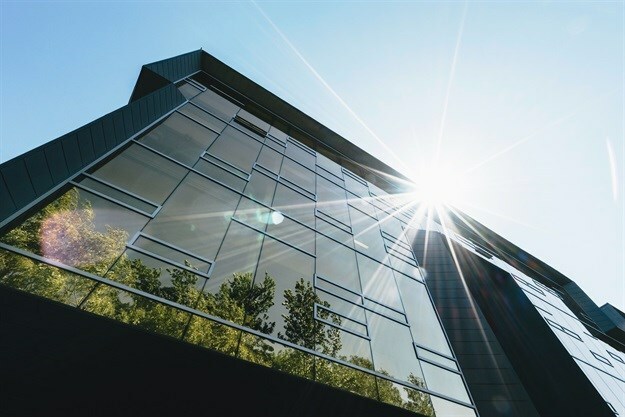 Rather than being a major contributor to GHG emissions by relying on fossil fuels, buildings could not only greatly reduce their demand for energy, but could generate clean, renewable energy. The built environment must be carbon-neutral by 2050 if we are to limit warming to below 2℃. To move ideas like this forward, Architecture2030.org, a US-based non-governmental organisation, recently introduced the first national and international “Zero Code” building standard for new construction. It focuses on designing buildings with high energy efficiency that use no fossil fuels in their operation. The organisation is working in California and China to put the policy into practice. Canada has said it will have “net-zero energy-ready” building codes in place by 2030. Here “ready” means that buildings may continue to use fossil fuels, but will be equipped with infrastructure to switch to on-site renewables. British Columbia is already piloting a subsidy programme for the construction of 15 to 20 of these buildings. GHG emissions from our buildings, worldwide, need to be 80-90% lower in 2050 than they are today. The incrementalism is understandable, but the numbers do not work out. We have the capacity to reduce energy-related C02 emissions from buildings to zero — or close to it. But we’re still far from being able back up the C40 claim that cities “are taking bold climate action, leading the way towards a healthier and more sustainable future”. Big Oil is now increasingly being hit with “climate liability lawsuits”. If we settle for baby steps in terms of GHG emissions, the built environment industries will be no different. Meg Holden, professor and director, urban studies and professor of geography, Simon Fraser University. Rebecca Holt, senior sustainable building advisor, Perkins+Will; member, SFU Urban Studies Council of Advisors, Simon Fraser University.